From compact to large, elegant and contemporary the Maya basin designs have all the features that you would expect in an ultra modern bathroom. Choice of 3 basin widths to suit any size bathroom (please select required basin size from menu). 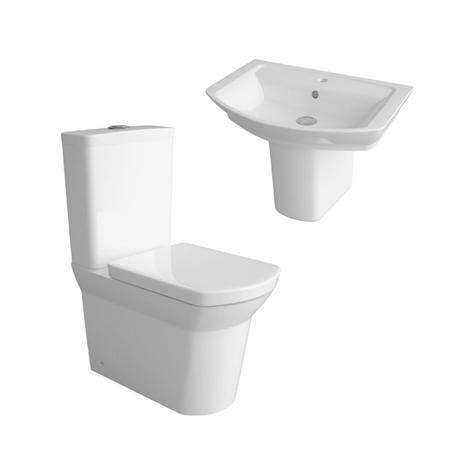 Wall hung basin comes with a semi pedestal which will conceal unsightly pipework from view. Designed to be used with a Mono basin mixer (not included). 3/6 Dual flush, chrome plated buttons on the cistern, stylish, Eco-friendly and water saving. Soil pipe can be rotated left or right but the installer must leave enough fall on the pipe for the soil waste to wash away.